Bath and shower times around our household can be a bit hectic. 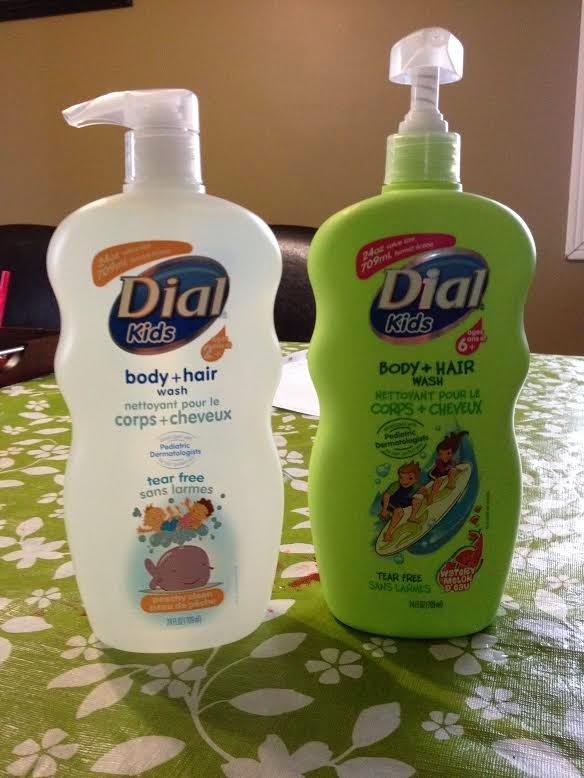 We normally go through lots of bodywash and shampoo, so when I received the new Dial Kids Body and Hair I was pretty excited to see that they came in larger bottles. Not only was I excited to see that the bottles were bigger, but also that it now comes with a pump, which has been a lot easier for the kiddos when taking a bath and shower. I love that it's convenient enough to where it's two products in one. With it being for both the hair and body, this allows my kids to only have to use one product while getting squeaky clean and I'm loving that with the pump we can control how much comes out and how much is being used. My daughter certainly loves it. She takes showers and this makes it so much easier for her to clean her body and wash her hair. A couple pumps and she's good to go. Dial Kids Body and Hair comes in both the Peachy Clean, which is a great transition for babies who are going into their toddler stages and also Watery Melon. Both are for hair and body and are also tear free, which will allow you to feel more comfortable when your kids are using it. I absolutely love the smell of both scents and also love how it doesn't make my kids skin dry. They both have sensitive skin, so these have been perfect for them. Dial Kids Body and Hair is now available in stores across Canada and retail for around $6.50-$7.99 a piece. Disclosure: All opinions are my own. I received samples of Dial Kids Body + Hair at no cost for the purpose of this review. No other compensation was received.